A princess, a shepherd girl, unexpected twists and turns, strange happenings, and a look deep inside. The Wise Woman with Literary Analysis Journal Questions has all this and so much more. 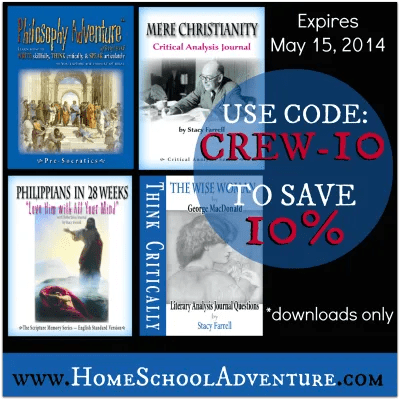 Home School Adventure Co. has published this helpful resource that includes the story by George MacDonald and the Literary Analysis Journal Questions by Stacy Farrell. 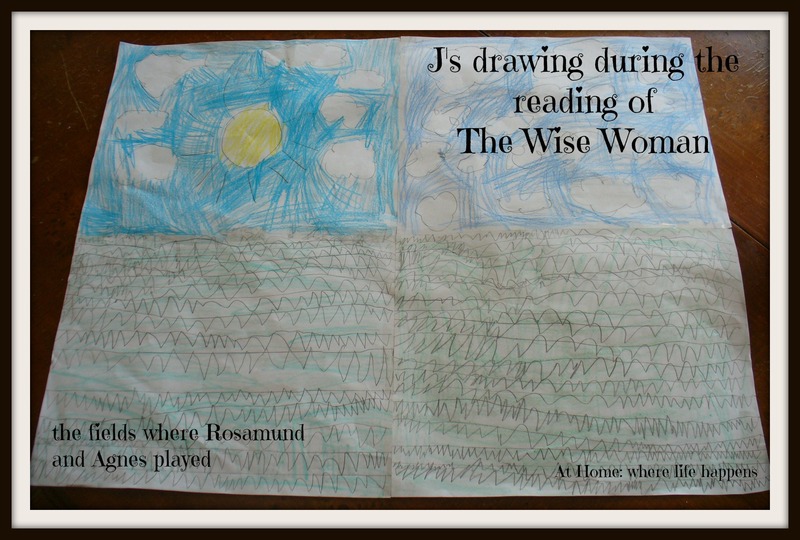 We were given a copy of The Wise Woman with the questions to review and I am glad we were given this opportunity. 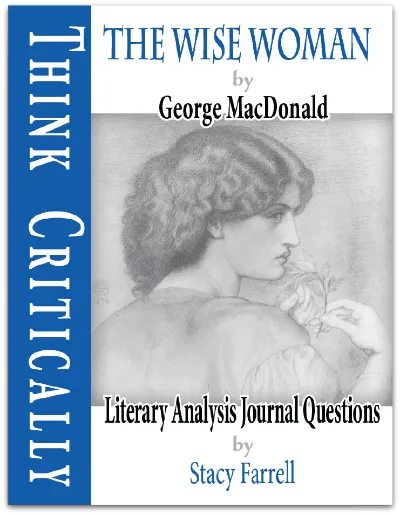 I had never heard of George MacDonald prior to this and I found out that there is a lot I was missing. MacDonald does a masterful job of integrating a heartwarming yet morally challenging story with a story of intrigue and excitement that hooks the kids and makes them want more. Stacy Farrell adds critical thinking and additional moral challenges with her questions. The Wise Woman is a story that was first published in 1875 by George MacDonald. MacDonald was a Scottish author and poet who exhibited a unique approach to storytelling. He influenced many well known authors, from C.S. Lewis to J.R.R. Tolkein and Mark Twain, through his writing and his friendship. 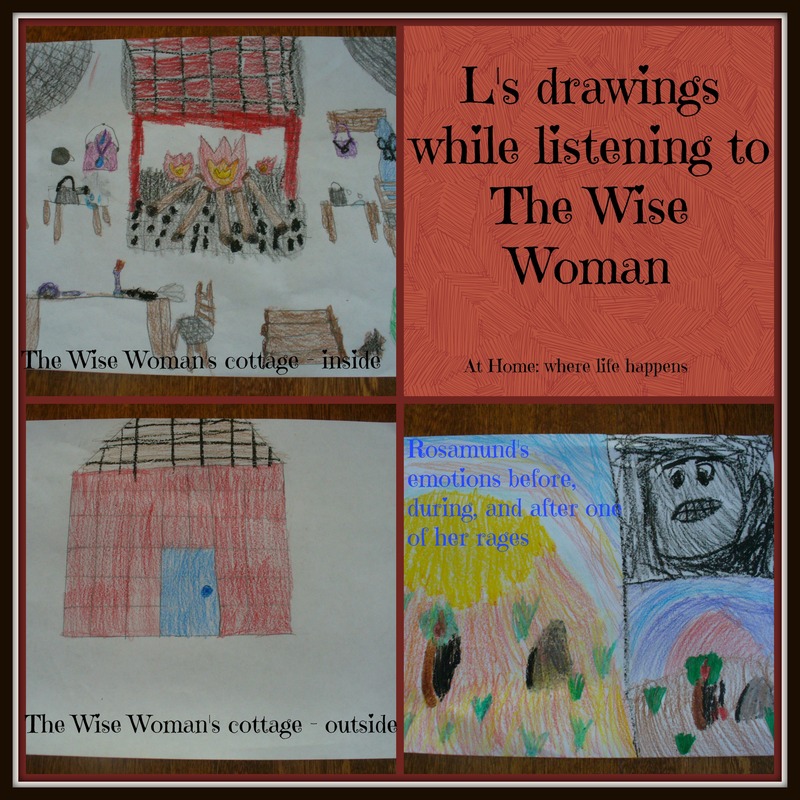 The Wise Woman is a parable, a story based on things from real life with a heavenly meaning. This was very clear to the giggly girls as we read through the story. It is reinforced well through the questions that Stacy Farrell wrote for each chapter. The questions are a combination of definitions, deeper application questions, direct answers from the story, and abstract thinking. We loved them. Even the 5 year old giggly girl was begging for more questions each chapter. The Wise Woman is presented one chapter at a time, with the questions following. The questions are formatted well, with plenty of space to write down answers. We chose to read it aloud and do the questions verbally, picking and choosing the best questions for the girls. Sometimes I asked all three giggly girls to answer a question and sometimes I asked a question of only one for a specific reason – it was a more difficult or abstract question or it had something in it that I thought that girl would connect with or some other reason. And often, if I tried that, the other girls got upset and begged to answer the question, too. The girls needed something to keep their hands busy and, without prompting, decided to create pictures based on the story. Most nights we read one chapter and answered a set of questions for that chapter. However, when we finally got to chapter 11, it was shorter and the story was really starting to come together. We stayed up late that night and read through the last four chapters all in one sitting, carefully adding a question along the way, without breaking up the story. That was definitely the best way to do it. I cannot imagine having broken those last four chapters up into four different days. The giggly girls are currently aged 10, 7 (8 in a few weeks), and 5 (just turned). This was a very good age group for the way we did it, reading aloud and answering questions verbally. I do feel that all of the giggly girls are very verbal so perhaps this might not work as well at these ages for your family. It is suggested that the age group on this is 9 – 11 for a read aloud and family discussion. It is suggested that ages 12 and up can do this as a family discussion or parental/teacher guidance. For high schoolers, it is accessible independently. As a side note, it took us three tries to really get into this story. The first chapter was difficult for the girls to process. It had long sentences that were worded in the style you might expect for something published in 1875. I wish I had read it and summarized for them the very first time so that they could get into the story faster. They loved the story once we got past that first bit. Once we did, there were lots of moans and groans when it was time to be done for the day. I would also note that the questions are excellent. They were so well done that my 5 year old giggly girl got the deeper meaning in much of the story. (She commented towards the end of the last few chapters “I think the man who wrote this was a Christian.” Pretty insightful for a 5 year old.) I did pick and choose from the list of questions because there are 16 to 24 questions per chapter. However, because they are all such good questions, you are able to help direct the students’ thinking with fewer questions if you need to. 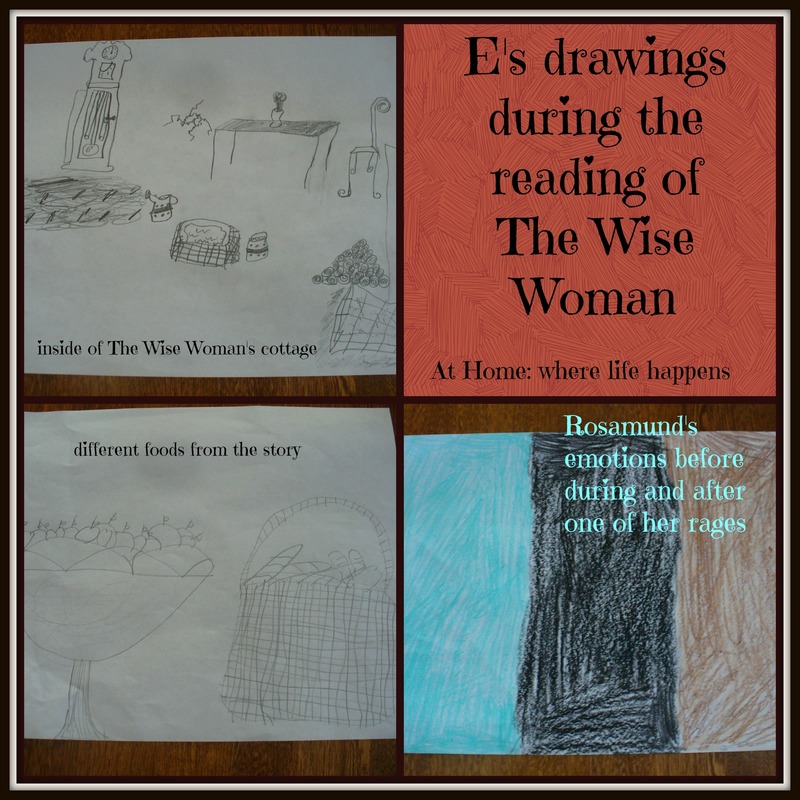 We thoroughly enjoyed reading The Wise Woman with Literary Analysis Journal Questions and were blessed through the discussion questions and story. At a cost of $28.95 for the print edition and $14.95 for the ebook download, this is something I recommend and will be looking at more of their offerings to see if there is something else that we can benefit from. Be sure to visit Home School Adventure Co. at http://HomeSchoolAdventure.com to see all that they have to offer. 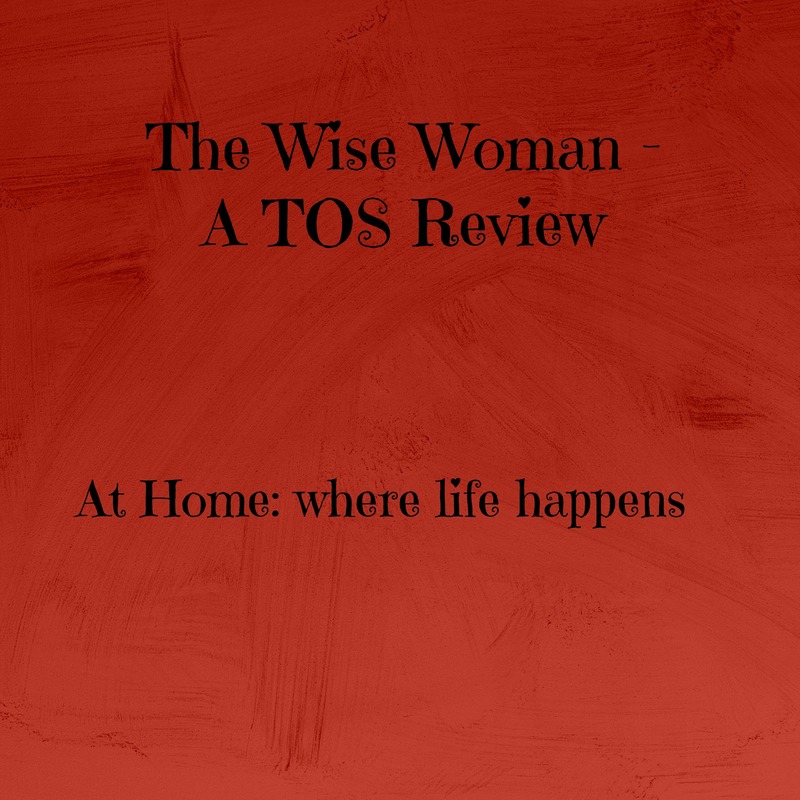 They are currently offering a 10% off coupon code, through May 15, for any downloads you are interested in, including The Wise Woman with Literary Analysis Journal Questions. We will revisit The Wise Woman in a year or so because I know that the girls will continue to glean more insight and strength from it in the years to come. At Home. The Review Crew members were given several different products to review. While we reviewed The Wise Woman, others reviewed the following products: Philosophy Adventure Mere Christianity Journal Philippians in 28 Weeks To see reviews on any of these 4 products, please click on the banner below and then the button at the bottom of the post.